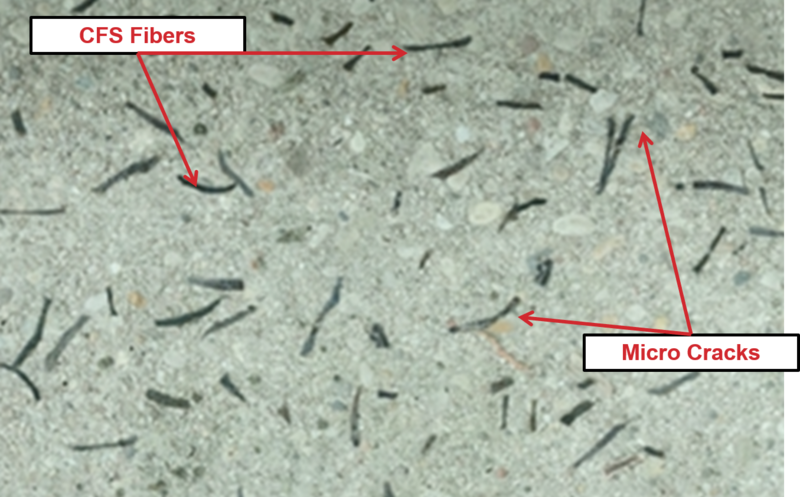 CFS 100-2 Steel fibers help control random cracks in ground-supported concrete floors. In ordinary jointed floors, steel fibers provide a safety net by limiting the width of any cracks that occur between the joints. In floors with extended joints, steel fibers take on the primary role in preventing visible cracks while allowing monolithic slabs up to 110 ft long. CFS Steel fibers limit the width of any cracks that occur between the joints and to enhance aggregate interlock at the joints playing a role similar to that of wire mesh or light rebar in floor designs with several significant advantages. Steel fibers are always evenly distributed throughout the floor while wire mesh and rebar often ends up at the wrong elevation as it gets stepped on or knocked out of position during construction. Steel fiber reinforcement allows for a cleaner safer and more efficient jobsite with no wire mesh and rebar to create a trip hazard or interfere with concrete trucks and screeding machines. Reduced time and labor. Your job can proceed faster by eliminating the time and expense of placing rebar or wire mesh. 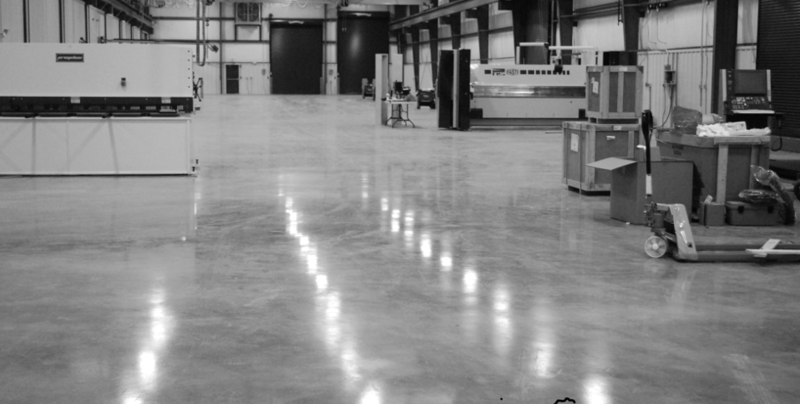 This CFS 100-2 steel-fiber-reinforced concrete floor has joint spacing of 55 feet and is totally free of visible cracks. Under magnification it is easy to see micro-cracks emanating from the aggregate are immediately arrested when they encounter CFS steel reinforcing fibers. With no rebar or mesh to set it can be in place faster, saving time and labor. Steel fiber reinforced slabs can be finished with the same equipment you’d use for any other slab. Our online design tool will take you through the process and supply you with ready to use design and specification documentation for a steel fiber reinforced slab on grade floor.